Bourton-on-the-Hill which forms part of our benefice, is a village between Blockley and Moreton-in-Marsh on the Heart of England Way.There are several attractions, including Batsford Arboretum, the Cotswold Falconry Centre, Sezincote House and Bourton House & Gardens. 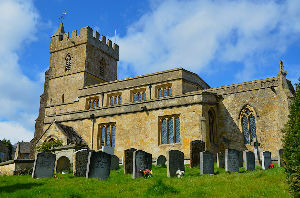 The church of St Lawrence dates back to 1157, although little of the original church remains. It was originally dedicated to St Mary, but during the 15th century its dedication was changed to St Lawrence. 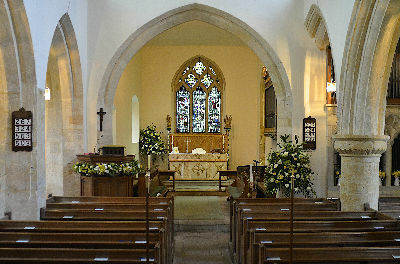 It is a Grade 1 listed building, open during daylight hours for quiet and prayer. The churchyard and gardens are also open and you are welcome to enjoy the peace, and find God in the beauty around you.